When we talk about how to go green with your pool in 2019 we’re not talking about algae! As any pool owner and the swimming pool service contractors from Express Pool Care in Goodyear, Arizona know algae is something you never want to see in your pool. Going green, however to use fewer chemicals and save money and save electricity is something many pool owners are looking forward to. The swimming pool contractors from Express Pool Care understand that “living green” is about much more than recycling cans, newspapers and bottles or having a compost heap. For a swimming pool owner it’s about reducing the energy used in all household appliances and the swimming pool. When it comes to the pool there are many alternatives for going green and being more environmentally friendly. Whether you’re having a new pool constructed or if you want to upgrade and update your aging pool, there are myriad investments you can make to make the pool more eco friendly. Using variable speed technology can save up to $100 a month on utility costs. A variable speed swimming pool pump is a technology that allows the water to flow through the pump and the pool at different speeds depening on the task you’re asking it to perform. Vacuuming the pool would require a faster/higher water flow while circulating chemicals through the water requires a slower flow. There are three ways to heat pool water: gas, electric and solar. Gas heats quickly for spas but isn’t recommended for swimming pools because of the cost. For efficiency, electric heat pumps are at the top of the green chain. The last option is solar heating. There is nothing better for your wallet than using the warmth of the sun to heat the swimming pool. Pool cover: No matter what type of pool water heating method you choose, using a pool cover keeps in the heat the pool has generated during the day – once the sun goes down. Set the pump on a timer. In the winter the running time for the pump can be reduced to save money on your power bill. 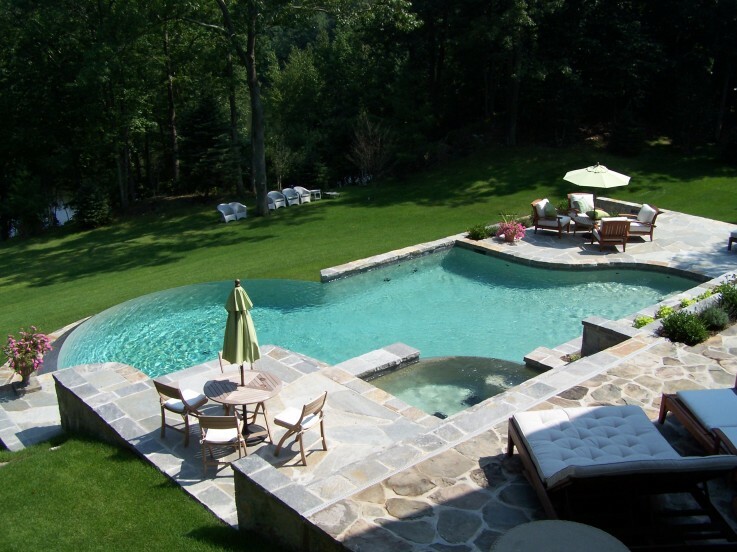 For a fiberglass pool, you’ll run the pump about four hours a day and for a gunite pool, it will run about eight hours. When it’s on a timer you can set it and forget it and the pump can run at night when the electricity is cheaper. If you’re in the process of building a new pool as your contractor about the hydraulics of drain-free pools. With this technology the pool more efficiently circulates water to reduce wear on the pump. General pool upkeep and maintenance. Clean the skimmer and filter helps keep the pool functioning efficiently. When this is cleaned, the filtration and sanitization systems work more efficiently and don’t put undue strain on the pump. Let’s put together a plan for your swimming pool and work on gradual upgrades for energy efficiency in the new year.